This would include the Shore Bake menu with a 75 person minimum and $40 per person. There is a $400 fee to dig the pit, set the rocks and build the fire. This is about a 4 hour process and worth it. 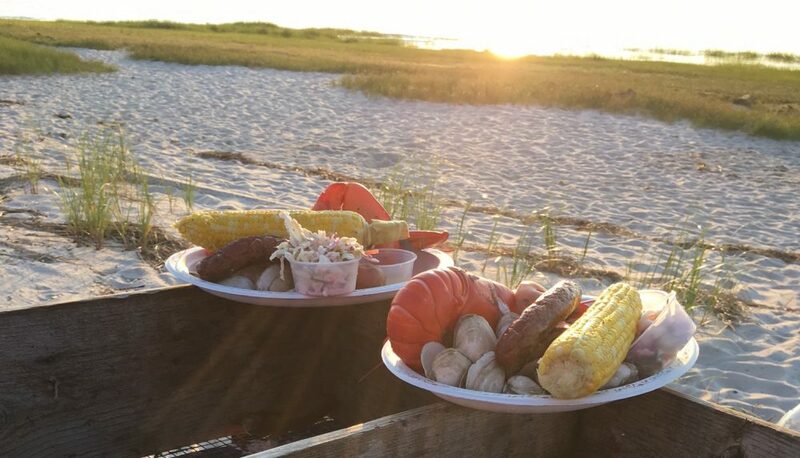 Lobster Roll.……………..Our traditional Cape Cod style lobster roll is loaded with chunks of fresh lobster meat, a dab of mayo, a touch of cracked black pepper and served in a freshly buttered and grilled roll……………………..whole $18.95 each. Try a tray of half a roll $10.95 each half. Raw Bar…….A perfect starter for your clambake with 2 pieces each of shucked oysters, shrimp cocktail and cherry stones. We provide homemade cocktail sauce and lemons.